Announcement Hand-crafted concepts and feels inspired by the natural world using sterling silver, semi-precious and prepared stones, with the occasional foray into other mixed metals. 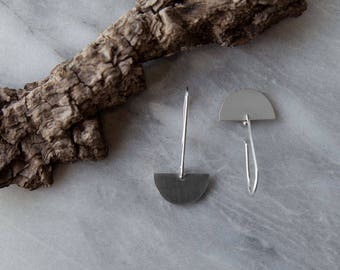 Hand-crafted concepts and feels inspired by the natural world using sterling silver, semi-precious and prepared stones, with the occasional foray into other mixed metals. 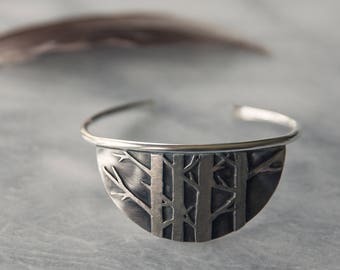 Lovely sterling silver two cedar trees link bracelet! Large but nice comfortable weight on wrist. Looks great - easy to wear. Very nice artistry on design of trees - eye catching. Fast transaction. Very secure packaging. A big thank you to artist/seller Chantel - super communication - 5 stars plus!! I love this ring and the artist added a little extra design at my request and was amazing to work with and patient with my indecisiveness! Love your work! I can’t saw enough good things about this ring and Chantel. I had her make a custom bracelet and half moon ring last year. I’ve worn them almost every day since, they have held up so well and are so comfortable. When I saw her grow together pendent I immediately knew it would make a awesome ring. I asked her about it and my design idea and she absolutely nailed it. Craftsmanship is excellent, ring is the perfect fit, and so comfortable. Love having custom pieces and each one from Chantel has been exactly what I wanted. Will be a lifelong customer. Thank you! 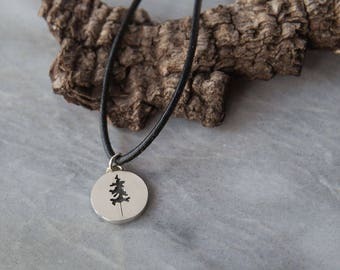 Chantel, of Olive Cedar Studio, is a metalsmith, photographer and painter currently living in Peterborough, Ontario with her husband Jeremy and her son Sawyer. She finds time every day for a hike, bike or paddle with her family, as she is drawn to, moved and inspired by most everything in the great outdoors. 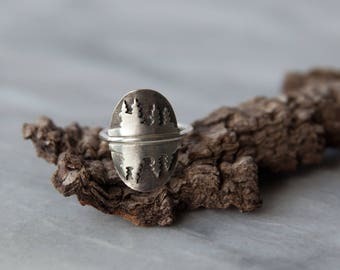 Chantel creates hand-crafted jewellery with concepts and feels inspired by the natural world using sterling silver, semi-precious and prepared stones, with the occasional foray into other mixed metals. olive cedar features hand-crafted concepts and feels inspired by the natural world, using silver, semi-precious and prepared stones, with the occasional foray into mixed metals. Go ahead, snoop around! Don't hesitate to contact the shop if you have any issues or concerns with your order while in transit, or after arriving at your door! Refunds and exchanges will be addressed on an individual basis, as each situation is different. I accept PayPal, credit cards and Etsy gift cards! Shipping costs will be outlined with each shop listing. Orders will be shipped via Canada Post (tracking information provided), but if you wish to upgrade services for express delivery and/or additional insurance coverage, just contact me. I'm happy to ship according to your preference! Purchased item(s) will be shipped within 48 hours of receiving payment (usually the following business day). Packages may be subject to customs duties, tariffs, taxes, and/or other charges upon arrival to your country; payment of those charges is the responsibility of the buyer. International mail will NOT be provided with a tracking number due to cost.